Chelsea’s new boy Diego Costa got his goalscoring account opened as Chelsea had to come from behind to defeat Slovenian side NK Olimpija Ljubljana. 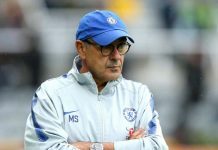 Jose Mourinho made six changes to the side that drew with Austrian side RC Pellets, with the most notable changes being the debuts of former Atletico Madrid man Costa, and former Arsenal and Barcelona man Cesc Fabregas. 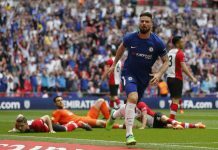 Gary Cahill and Cesar Azpilicueta enjoyed their first involvements in Chelsea’s pre-season after an extended break after their World Cup commitments. 17-year-old Jeremie Boga started after scoring in the previous game, and Matej Delac finally made his debut in goal, some four years after signing following a succession of loan spells away. 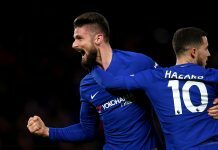 Despite being considered vastly inferior, it was the Slovenians who made the better start, and captain Gary Cahill, alongside his youthful centre-back partner Kurt Zouma, were required to be on their toes as Andraz Sporar in particular made a nuisance of himself in front of goal. Chances fell to Costa, as well as Mohamed Salah, but it was in fact Kurt Zouma who had the ball in the net first for Chelsea. However, his volley was disallowed for offside. Not long after Olimpija had themselves scored, but unlike Chelsea’s effort, this one stood. Nik Kapun and Darijan Matic played some neat passes together before Kapun creating space on the turn and thumped his effort into the roof of the net to give Ljubljana a deserved lead as they held their own in a competitive first half. Not bad, seeing how they finished seventh in the Slovenian Premier League last season. The usual raft of pre-season half time subs followed by Mourinho – six, in fact – as well as a change in formation. Delac, Azpilicueta, Cahill, Filipe Luis, Boga and Izzy Brown all made way, with Petr Cech, Branislav Ivanovic, Nathan Ake, John Terry, Marco van Ginkel and Fernando Torres coming on. The subsequent changes resulted in a shift from the 4-2-3-1 to a 4-3-3 – a change which would go on to pay dividends. Fabregas – who in truth was the best player on the pitch – played a delightfully weighted ball to Diego Costa who did what he did best and ran clean through and placed his shot high and hard into the Olimpija net. After that it all became one way traffic as Chelsea’s class finally began to shine through. 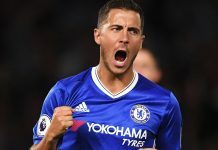 A corner routine between Fabregas and Matic allowed Fernando Torres the chance to score, but his effort could only be parried away by Aleksandar Seliga into the path of Kurt Zouma, who was in the right place to score his first goal for Chelsea prodding in from six yards. A few minutes later Zouma could have had his second and Chelsea’s third was it not for a wonderful save from Seliga, palming the French defender’s header off the underside of the bar. Later, Ivanovic poked the ball goalwards and Terry turned it in – the referee had given the goal, only to change his mind for an infringement. Fernando Torres showed the worst of himself yet again with a horrendous miss not long after the disallowed goal. Good work from Nathan Ake gave Torres the chance to nod home from all of four yards, but as he has done with unwanted consistency during his Chelsea tenure, he could only fashion an awkward-looking chest over the crossbar. Two young second-half substitutes in Dom Solanke and Patrick Bamford had chances to wrap up our third pre-season victory in four games, but it proved arbitrary as the full-time whistle went. With some solid performances from the youngsters, and the more established names playing with their usual high-quality, this game will have no doubt given Jose Mourinho food for thought. Our next pre-season game is Wednesday, away to Vitesse Arnhem, and our first Premier League game is only 22 days away, as we travel to newly-promoted Burnley.